There is a brand new restaurant opening in Edinburgh on Wednesday the 15th of November and you have to go. Part of the Principal Hotel on Charlotte square, BABA has been brought to Edinburgh by the people behind the incredible Ox and Finch in Glasgow and Londons Gorgeous Group. This partnership has managed to create a little bit of heaven for us here in Edinburgh and we can't wait for you all to experience it. BABA serves Levantine inspired cuisine, bringing us flavours from places such as Lebanon, Syria and Israel. Not only is the food packed with flavour but their signature house cocktails are original, refreshing and absolutely delicious. Even the interior makes you feel like you are in another world, the breathtaking decor, and the smell of incense fusing with the smells coming from the open kitchen all comes together to create a really unique dining experience. This restaurant and the BABA concept is really bringing something unique and exciting to Edinburgh. 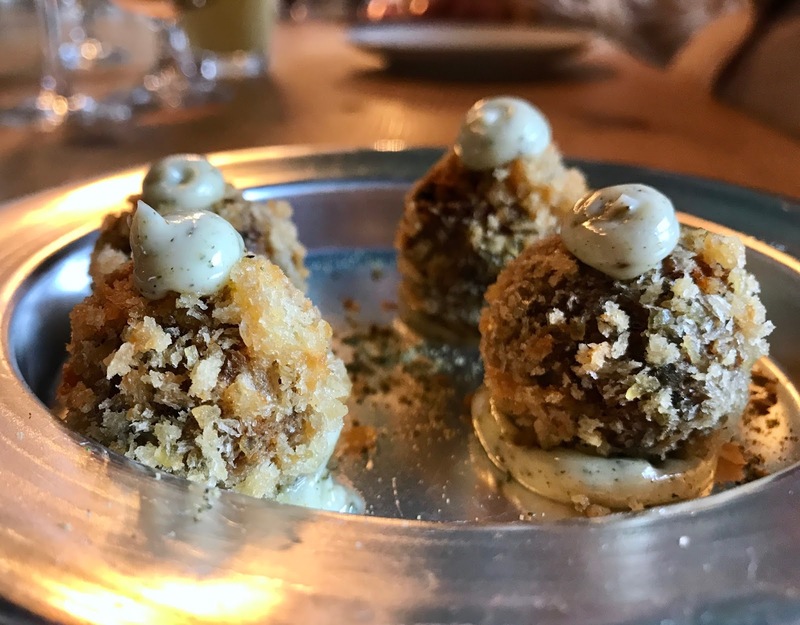 Haggis and harissa kibbeh - This little Mezze dish is perfect to share as a little appetiser, it's peppery, surprising and with the kibbeh is a totally new taste you need to try. Fusing Scottish food and the BABA twist perfectly together. All the dips - It would take us about 3 years to describe each one in all their glory so we're just going to let you know they are all completely unique and each one is packed with different flavours and textures. We weren't madly keen on the smoked salmon but it's definitely one for you if you really love that smokiness of fresh salmon. We really recommend getting them all so that you can have a taste of all the different Lebanese flavours, it's quite an experience. Chuck-eye steak, sumac onion salad and red pepper ketchup- I mean, who doesn't like steak? This was the first time that we have tried this cut of meat and we were not disappointed. Melt in the mouth delicious, perfectly succulent and the tang from the ketchup with the sweetness from the red onion is a match made in food heaven. Hake, beetroot, orange and herb salad- Another one from the grill. Everything was cooked to perfection but the fish was just something else. I'm not the biggest fish fan but the Hake simply melted in the mouth. I think this is the dish that I enjoyed the most out of the whole menu, it was on another level for me. 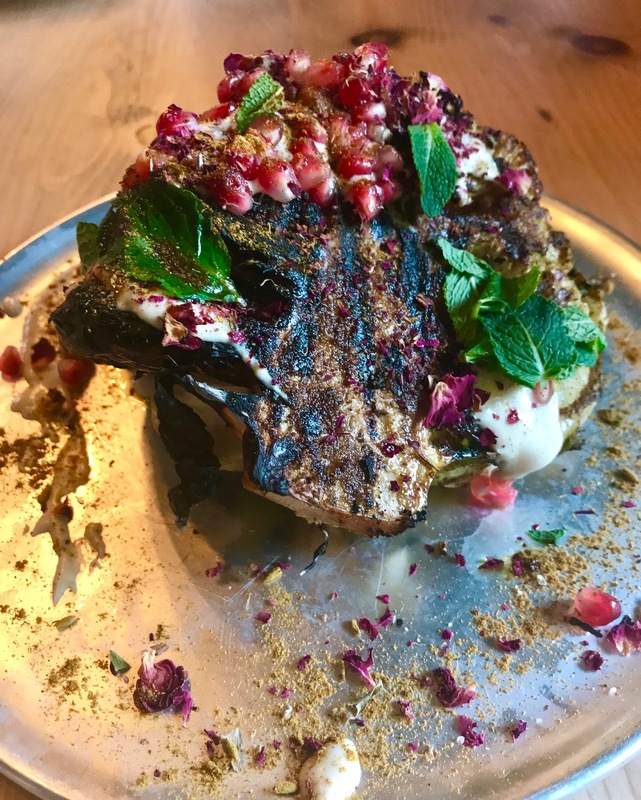 Cauliflower, tahini, ras-el-hanout and rose- We have never seen grilled cauliflower served in this way before. This is a brilliant dish to share as a side and again it is packed with flavours and textures that go perfectly together. Kebab/Shawarma- We were obsessed with the chicken shawarma which is served with pomegranate, garlic tahini and pickled salad. The chicken was so juicy and flavoursome, complemented perfectly by the bread which is made only for BABA at an artisan bakery here in Edinburgh. You can also try the kebab with lamb, beef or spiced squash for a veggie option. Pomegranate and mint sorbet - The perfect end to a delicious feast. Fresh, perfectly sweet with a hint of tang. The nicest sorbet I've ever had. It's served in half a pomegranate shell which is ever so fitting to the BABA style. Coffee - Not something we'd be so certain to include in reviewing a restaurant but BABA coffee deserves all the attention on its own. It's a taste unlike any I've tried before. I'm no coffee expert but I drank it black and there's no need for any sugar or milk. Recommended on its own the coffee is served in your own Cafetiere with the sweetest little glasses. We can promise that you will be leaving here completely full and with a smile on your face. The food at BABA has endless flavours and the atmosphere they have created here is amazing. 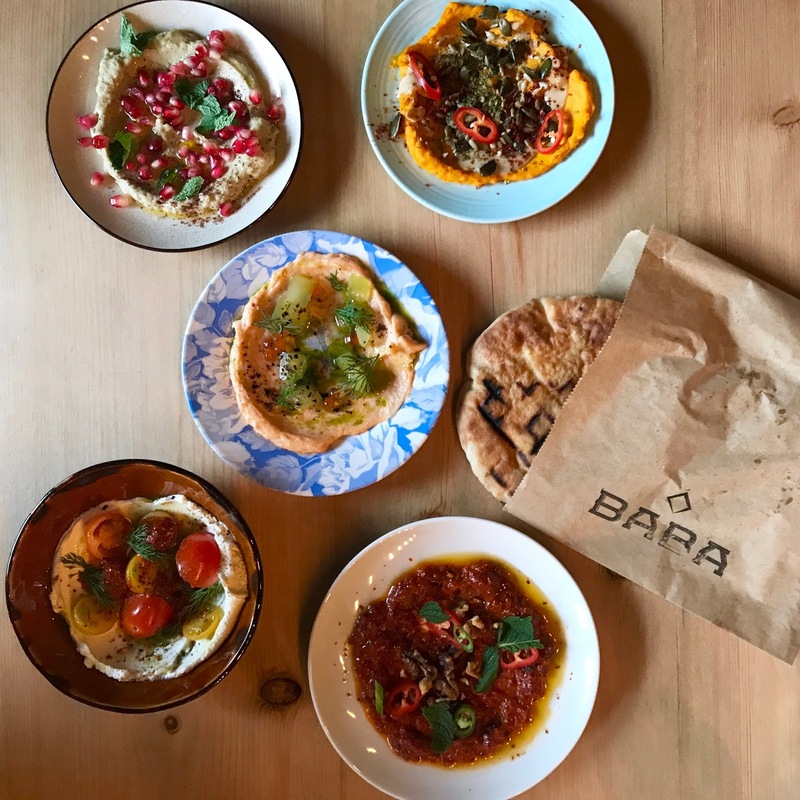 When you go to BABA, we would love to hear what you think of this new addition to Edinburgh!